The Music in the Schools assemblies are part of a larger vision of Redlands Bowl Performing Arts through its Eighty-Eight Keys for Youth Initiative, which encompasses a number of youth music outreach projects. FLY Dance Co. wants students to discover their worth. The Houston-based group is touring local schools to encourage positive thinking through hip-hop. The dance company — also known as The Gentleman of Hip-Hop — formed in the 1990s and travels the world spreading their message and the history of hip-hop in short, but effective bursts. 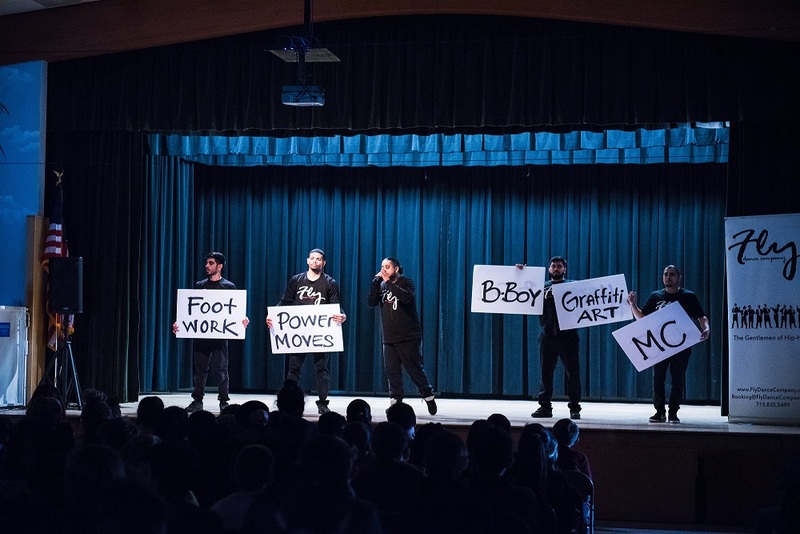 The group’s presentation at Orangewood lasted for about 20 minutes, but included a few moments of audience participation when two students were invited to be breakdancers for the day and learn a bit of choreography. The presentation ended with Casco letting students know that dreams are possible, even if a few mistakes are made along the way. “The one thing that separates us from everyone else is we educate and look to hit them with a good message,” he said. 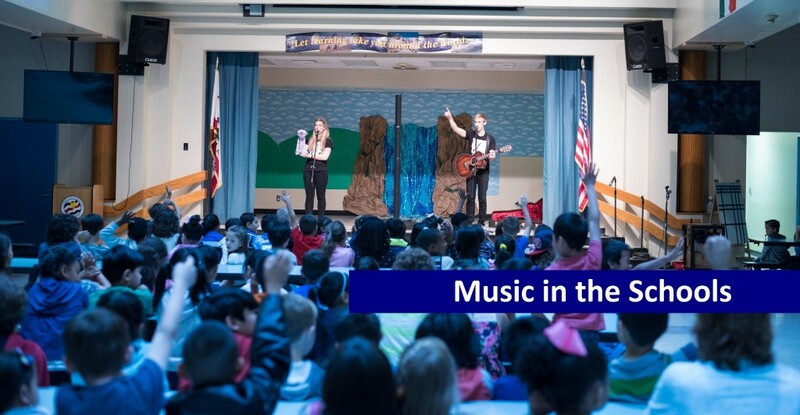 The Redlands Bowl sponsored the troupe’s visit through its Eighty-Eight Keys for Youth initiative, which introduces the arts to children in Redlands Unified School District and surrounding communities. Eighty-Eight Keys was created to expand the Bowl’s youth programming. Typically, the nonprofit hosts a children’s workshop series in the summer, which reaches a smaller group of children. Eighty-Eighty Keys, in turn, travels directly to schools to reach students from different socioeconomic backgrounds. The goal is to bring music to everyone. Like Bowl programming year-round, Eighty-Eight Keys is funded through grants and donations from local businesses, organizations and community philanthropists. Local assemblies also help the nonprofit promote the annual Redlands Bowl Music Festival, which is the country’s longest continuously running summer music festival where no admission is charged. FLY Dance Co. began its local tour Monday at the Redlands Community Center. The group performed for local students and members of the Boys & Girls Clubs of Greater Redlands-Riverside. Stops at Beattie and Clement middle schools filled the group’s schedule through Wednesday. Thursday, Feb. 1, the group will make a stop at Cope Middle School for three assemblies, and Moore Middle School for two showcases on Friday. To learn more about the Eighty-Eight Keys initiative, visit redlandsbowl.org/eight-eight-keys-for-youth-initiative.